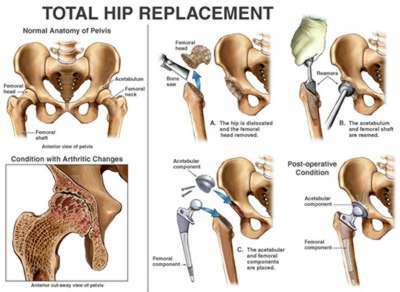 Are Knee and Hip Replacements Bad for Your Heart? Contrary to recent reports, Boston-based researchers found that osteoarthritis patients who had total knee or hip joint replacement surgery, known as arthroplasty, were at increased risk of heart attack (myocardial infarction) in the early post-operative period. However, findings published inArthritis & Rheumatology, a journal of the American College of Rheumatology (ACR), indicate that long-term risk of heart attack did not persist, while the risk for venous thromboembolism — blood clot in veins and lungs — remained years after the procedure. “Osteoarthritis is the most common form of arthritis, affecting 27 million Americans over the age of 25 according to the ACR. As the joint cartilage and bone deteriorates, knee or hip replacement surgery may be the only option to relieve pain and stiffness, and restore mobility. Previous studies estimate that 1.8 million arthroplasty procedures are performed each year worldwide, and that number may increase as the population ages.